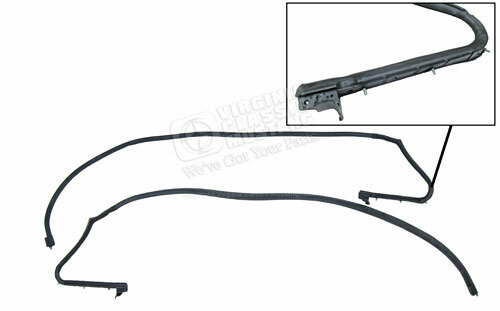 Door opening rubber weatherstrip for the 1969 and 1970 Mustang Fastback. Do not be fooled by the reasonable price. This is a really nice quality part worthy of installation on the highest level restorations. Includes both the Right and Left sides. This rubber wraps all the way around the flip out rear quarter panel window exactly like the original.